People tend to be creatures of habit, and I’m no exception. The longer I live in a situation, the less able I am to see it from an outsider’s perspective, and this was especially true of my home. 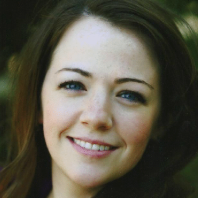 One day I realized that I had become completely clutter blind. 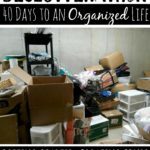 I knew I had clutter, and I knew I wanted to declutter, but I was also able to function without really seeing how bad things had gotten. Ultimately, if you live in an environment long enough, it becomes your norm. 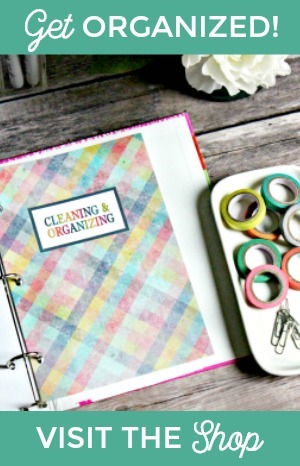 Piles of paper stacked in corners or laundry draped over chairs just become background noise. They become the normal decor, a way of life, and they end up either never really being dealt with or taking a long time to be handled. If you can walk around piles of dirty clothes until you have nothing clean left to wear or live with a sink overflowing with dirty dishes until you have nothing clean left to eat from, you’re probably clutter blind. Clutter blindness is basically the ability to function so well surrounded by clutter that you practically don’t even see it anymore. You know it’s there, but it can sit and sit and sit without being dealt with. I don’t think clutter blindness necessarily means the clutter doesn’t bother someone; it’s simply that they’ve grown so used to it that there’s no real urgency in cleaning it up. 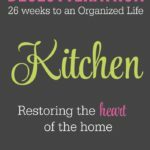 It starts to blend in with your home, and you don’t really see it anymore so instead of clearing your kitchen counter, you push everything over to prep your meals. 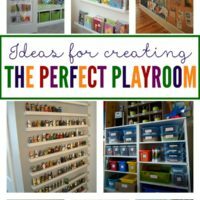 Instead of putting books on a shelf or sorting mail, you create piles to be dealt with later. Instead of unpacking a suitcase from your most recent trip (that may not have been “recent” at all), you shove it just out of the way enough that it doesn’t really affect your day to day life. That’s clutter blindness. You feel burdened by your home and belongings. 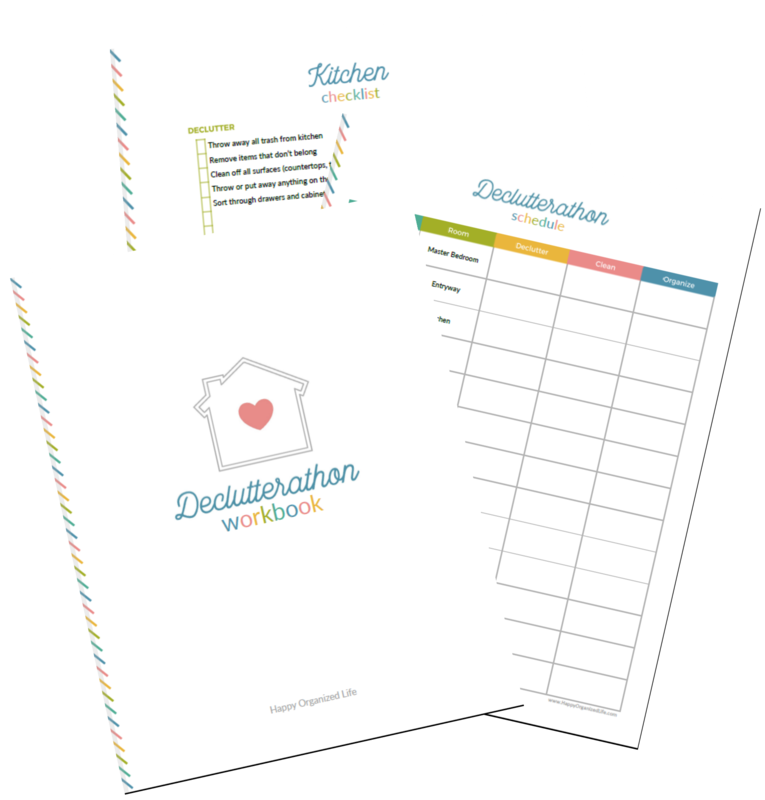 Instead of feeling happy and at peace because you’re in a place where you can relax and enjoy yourself, your home has evolved into a never-ending to do list that constantly nags you. Looking around your home just reminds you of everything you should be doing and how your home should look. It’s stressful and unpleasant, the exact opposite of what your home should be. This is an issue I’ve had with my kids. There are times when they are truly trying to pick up their toys and get organized, but when I say, “Put this away” they have no idea where anything really goes… and I don’t either. I realized I was clutter blind when I took pictures inside my home and saw the clutter staring back at me from the photograph. There was something about being slightly removed from the situation and looking at it in a picture that made me realize we had a lot more around our house than I had realized. The good news is that looking at a picture can help to shock you out of your clutter blindness. This realization is what prompted me to encourage others to take pictures of their homes before they start decluttering. It’s great to see how much progress you’ve made when you’re finished with a space, but there’s also something powerful about a picture that makes those out of place things a little easier to spot. 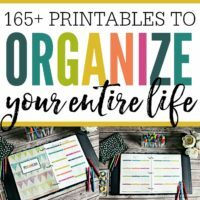 I know how overwhelming it can be to look around your home and see nothing but an unending list of things to do. 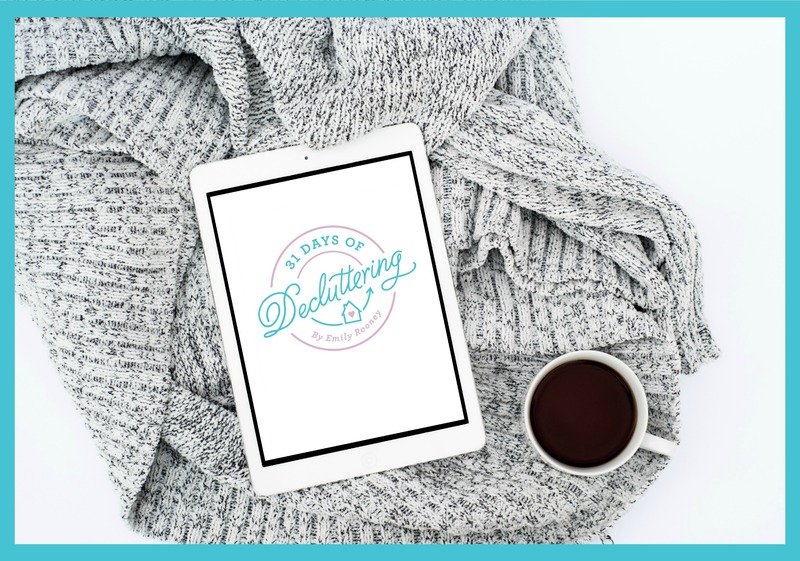 I know how frustrating and exhausting it can be to feel like everything in your home is out of place and you don’t even know where to start to get things cleaned up and in order. 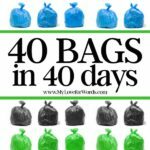 This is why I created my new course, 31 Days of Decluttering. 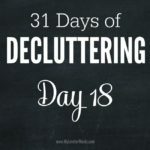 If you’re looking for help and guidance through your home and want a plan to follow to see progress fast, be sure to click the the “31 Days of Decluttering” link above (or the picture below) to check out all the details. 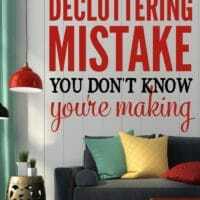 If you have a vision for what your home could look like when your clutter is cleaned up, but you don’t know where to begin or how to even get there, this is the place to start. You deserve a home you can enjoy, that doesn’t feel overwhelming or embarrassing, and I want to help you get there, step by step. Omg, I opened the email to this post and immediately looked around my living room. From my desk, I can see SEVERAL piles. 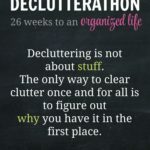 Yikes, this article has arrived at just the right time: my office is closed today due to severe weather, so I have a 4 day weekend that will be partially devoted to decluttering my home. Thanks for sharing! I’m so glad to hear it arrived at the right time! It can be surprising when you finally see what’s been surrounding you when those clutter blinders come off. Stay safe in that weather, and I hope you have a great long weekend. Paperwork is my clutter blindness. No matter what system I have in place, piles often require a name, like Mount Molehill-Expanded. Eventually, these are dealt with at year end and much of the paper is assigned a seat at a specific file or the Shredder! Tires me out to look at it, though. So, we sold the house, and most of our belongings, rented a storage locker, and moved what we now own (about 10% of what we had) close to where my son and family live. We then donated our car to charity, spent time with son and family, saw the relatives, then booked seats on a flight to Australia (from Canada). We have been here 10 months. Love the travel, seeing new things, meeting so many wonderful people! Paperwork can be such a struggle because it’s neverending! I’m amazed that you got rid of 90% of your belongings. How did you part with so much?! That’s amazing! 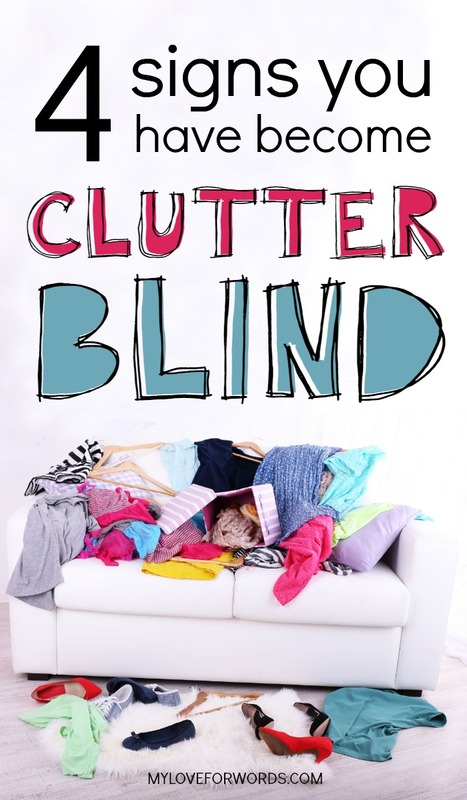 I love this term “clutter blind” – and you are right – taking a picture inside your house will reveal the laundry that has piled up, the three boxes of wipes on the floor and the piles of papers. Great post. Great article and really makes you rethink your spaces. I will be sure to check out one of the webinars. Thanks for sharing. The way to prevent clutter is to clean n put things away the moment is needed to be done cause 1 day turns into 2 and on n on. I have occ . I would simply lose my mind if things arent neat n nice i simply can’t focus in a messy place . Clutter blind is a perfect name for it. We don’t like clutter here at our house. Sometimes I visit someone or go to a store and can hardly breath! We all have our own comfort zone and we have to find it. Welcome back! I’m so glad to hear you’ve decluttered. Keep up the great work! I’m so sorry to hear that, Judy, and I can totally relate. It can be completely overwhelming! I frequently feel like I’m at a standstill in my own home. It can be hard to know where to start and how to make progress, but I do think baby steps and doing just a little bit at a time is the right way to go so it sounds like you’re on the right path!